The company will re-brand itself as Virgin Hyperloop One in the near future. Today, the Virgin Group has announced that it has invested in Hyperloop One, the startup that recently demonstrated a working prototype of the travel system. 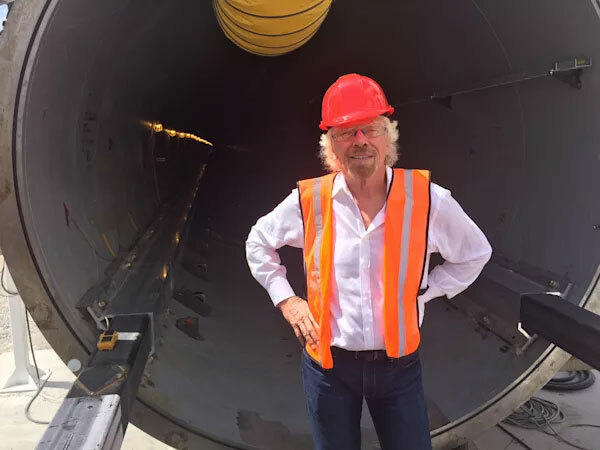 As well as cash, and the involvement of Sir Richard Branson, the company will re-brand as Virgin Hyperloop One in the near future. In a statement, Branson described the technology as the "world's most revolutionary train service." The strength of the Virgin brand, coupled with the speed at which Hyperloop One has developed its prototype, augurs well for the future of travel. Branson is a brand-name CEO with deep connections all across the world, which should reduce political resistance to an upstart business. It's not clear just how much cash Branson has put into the business, but the company's last funding round stood at around $85 million. Branson's involvement will also raise eyebrows in his homeland, who will be delighted to see the trip between London and Edinburgh cut to under 50 minutes. On the other hand, Brits are already well-aware how Branson runs a train service, and the reviews for Virgin Trains on Trustpilot are a sea of one-eyed invective. Hopefully the far shorter journey times will soothe the clear nervousness about sky-high prices and lackluster customer service.